Sony has already made the smartphone market a huge priority in 2014, and now it's ready to go after tablets. 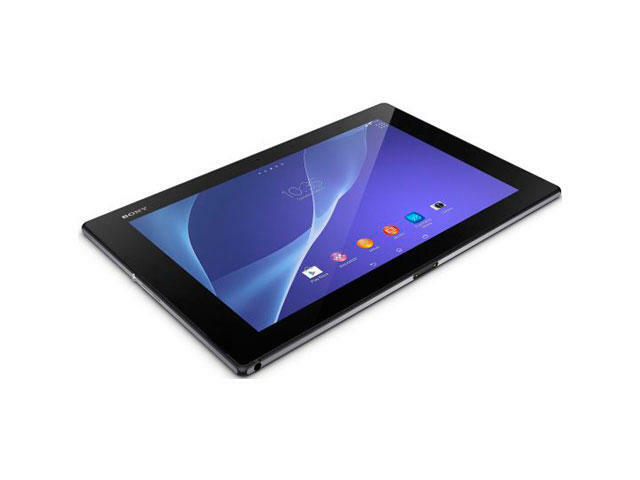 As a companion to its just announced Xperia Z2, Sony also unveiled the Xperia Z2 Tablet, which the company claims is the world's slimmest and lightest water resistant slate. Now you can read or watch movies or play Android games while sitting in the tub. Life has never been easier. Described as the "pinnacle of tablet innovation" by Sony Mobile's CEO, Kunimasa Suzuki, the Xperia 2 Tablet sports the type of specs you'd expect in a flagship tablet: Snapdragon 801 processor, noise canceling technology, 10.1-inch Full HD screen, integrated Qualcomm Quick Charge 2.0 technology, 3GB of RAM, 16GB of internal storage (microSD expandable), 6000mAh battery and an 8.1-megapixel camera—all in a body that's just 6.4mm. Additionally, the Xperia Z2 Tablet also comes with Android 4.4 KitKat and OfficeSuit Pro 7 right out of the box, and support for LTE. Other aspects of the Xperia Z2 will be familiar to Sony fans. The specs are certainly drool-worthy, and it'll have access to a plethora of Sony-built apps to keep users satisfied. As you'd expect, the design is typical of Sony's Xperia vision, and is water resistant for good measure. When it launches this March, Sony said the Xperia Z2 Tablet will be available in both black and white variants.